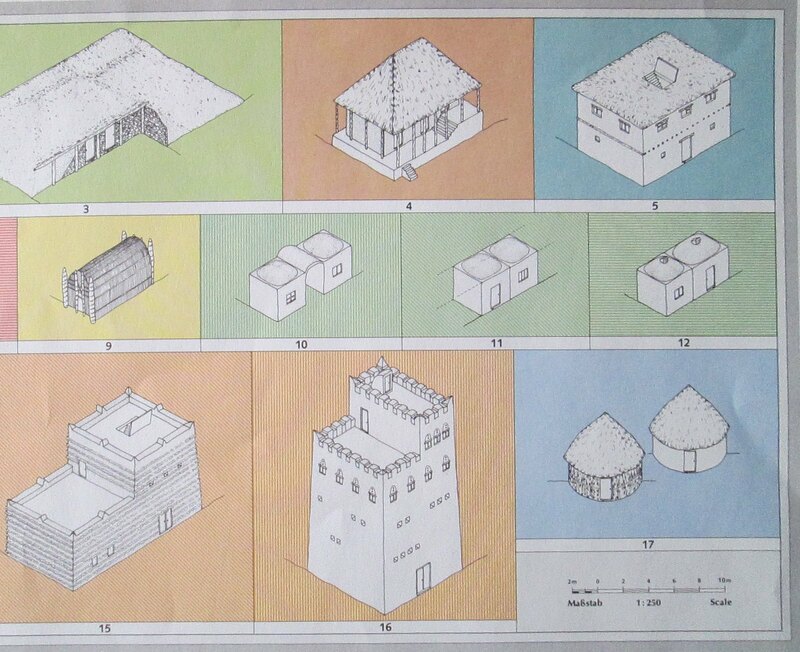 From a set of maps housed at the British Archeological Institute in Ankara, we have two fascinating looks at middle eastern dwellings from an earlier era. 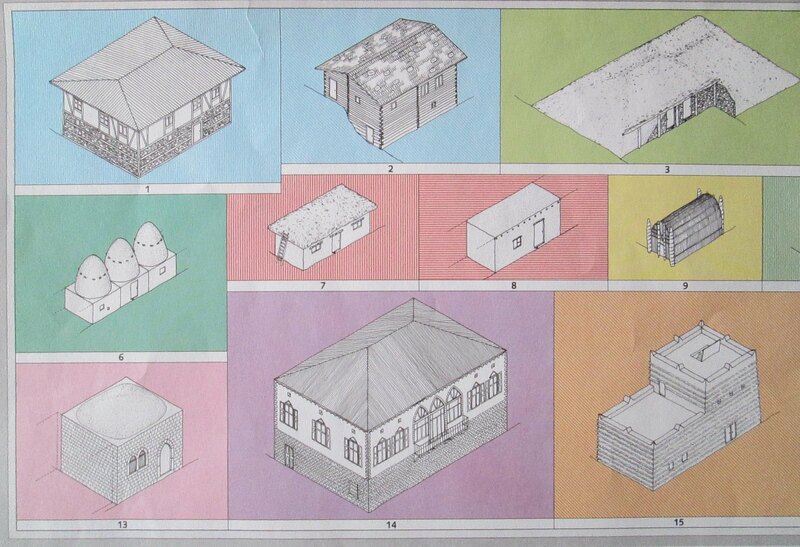 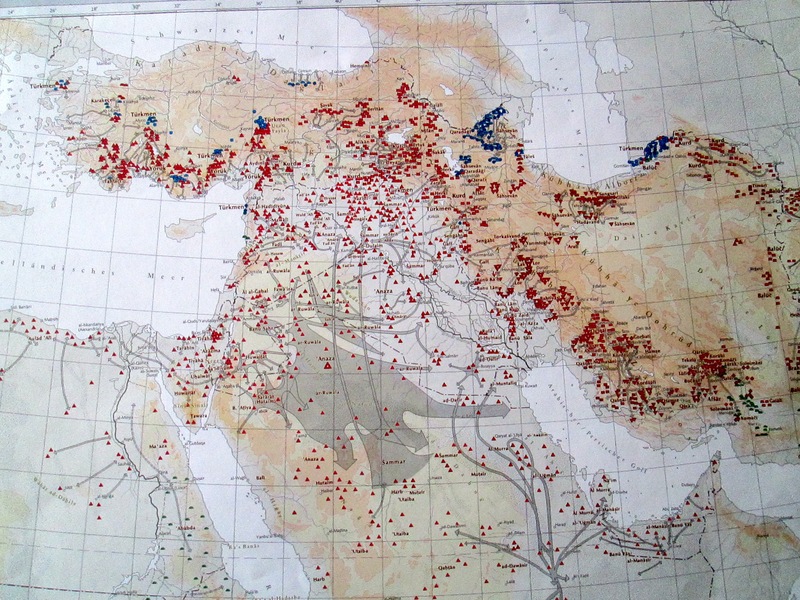 The map above shows housing structures, which the colors corresponding to the types of structures deemed "typical" in the region (pictured below). 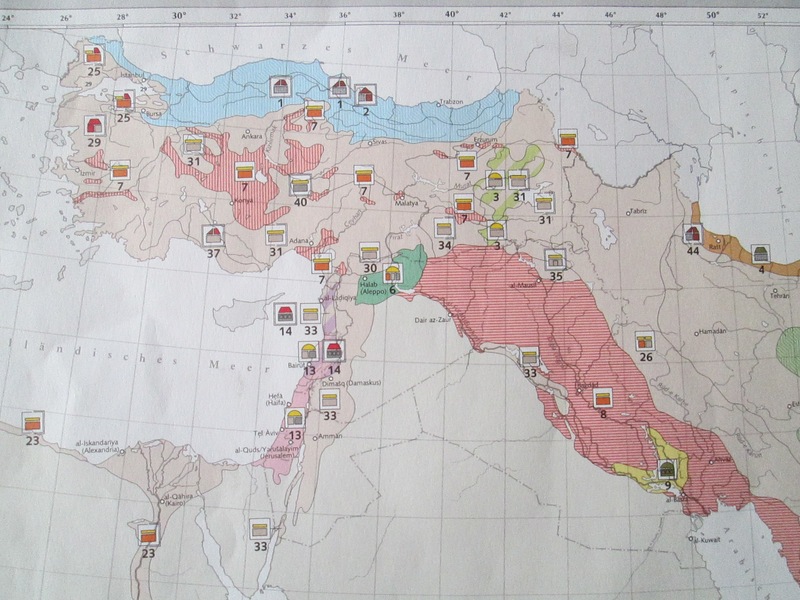 And for those who don't have permanent dwellings, this chart shows the prevailing nomadic tent fabric in each region. Round blue dots for felt, red triangles for goat hair.